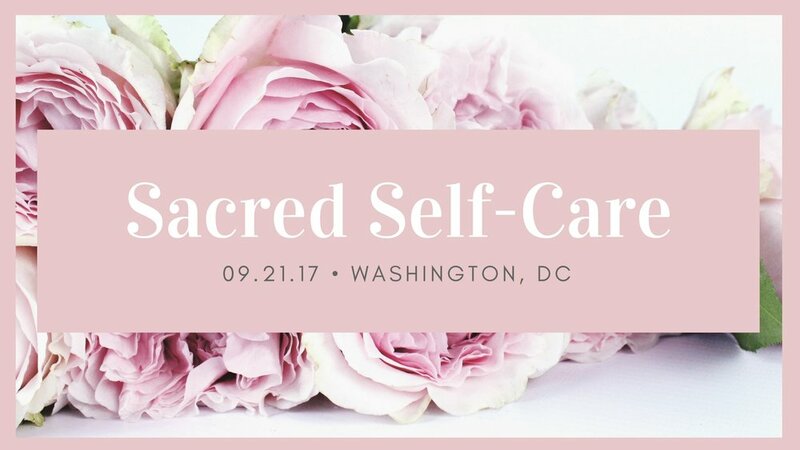 What exactly is sacred self-care? Come learn about the importance of nontoxic beauty, clean eating, positive self-talk and mindfulness from two of DC's local health, wellness, and self-care experts. Joanna Andreae is a certified Holistic Health Coach, Guided Meditation teacher and all around lover of abundance and nourishment. After 6 years of the corporate world where she traveled 3-4 days a week (every week! ), led meetings with Hospital CEOs, University Presidents, and senior cabinet members of every type, engaged in intensive contract negotiations, and hit revenue goals of up to 1 Million dollars per quarter, she decided to leave her lucrative but ultimately unfulfilling day job, and follow her bliss. The story of Wandering Wellness is what happened after that leap of faith. Only a few spots are available. Reserve yours here.